Coconut Although the coconut palm (Cocos nucifera) can grow up to 60 feet tall, depending on the type, it can be kept in a container for the first few years of its life. 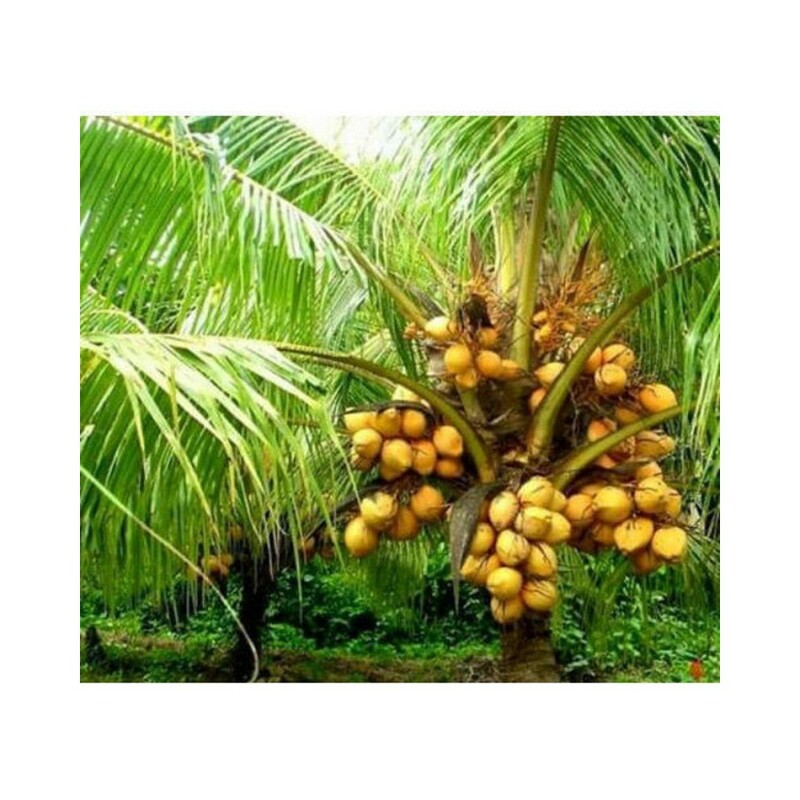 On average, the baby coconut palm will grow quickly, and its multiple leaves will develop into a trunk in five years, at which time it will begin to develop flowers and then fruit. 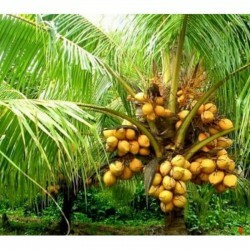 When fully grown, the palm is perfect for coastal areas, where it is extremely resistant to wind and sea salt. Baby coconut palms thrive in U.S. Department of Agriculture plant hardiness zones 10 to 11.